M&M Pretzel are a great new twist on the classic candy treat. These unique candies feature a crunchy little pretzel and milk chocolate inside a colorful candy shell. These Pretzel M&M’s came along and suddenly you had a new favorite snack. Pieces of pretzel are coated in chocolate, and given a colorful candy shell. The reason they are virtually impossible to resist is because you enjoy salty and sweet characteristics in every bite, making them the perfect treat. These Pretzel M&M’s are absolutely amazing. The convenient bags are perfect to hand out during family movie night, or you can dump some in candy dishes for a colorful display. Create magic with a bowl of ice-cream by sprinkling Pretzel M&M’s on top, or use them to decorate cupcakes, cookies, and brownies. 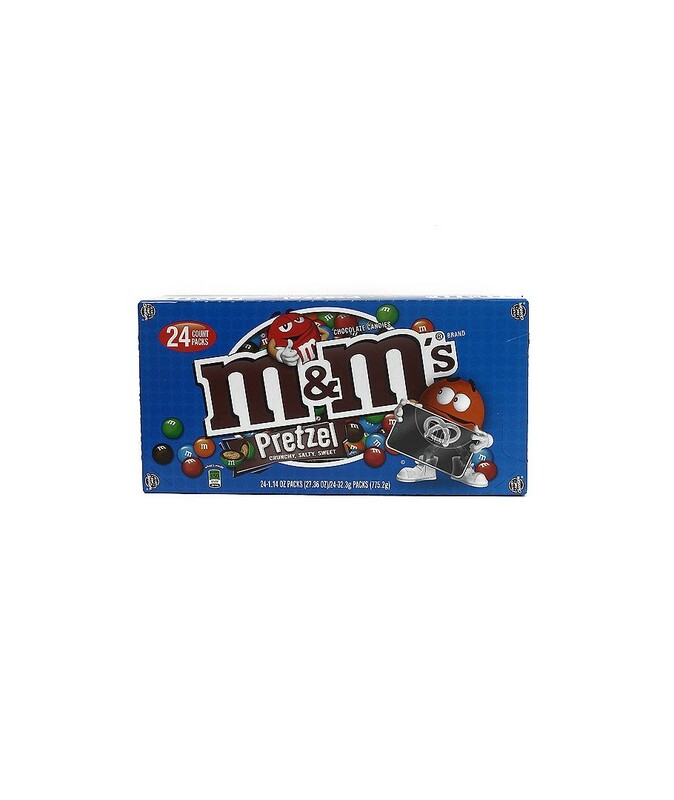 you can buy M&M Pretzel in bulk at a wholesale price at Volt Candy Online. It was given to me by a friend, after taking it i went back to request for the entire pack of candy continuously till i was able to get mine.lovely candy. Skittles Original Flavor 36 Ct.